If you are like most of us out there, you work a typical 9-5 and require a cup of coffee, tea or some kind of stimulant to get you going at the start of your day. Unfortunately not everyone has the same biochemistry and in turn sleeping habits, which can make working this type of schedule more difficult for some types of people than others. When it comes to falling asleep and waking up, there are four different types of people out there. Determining which one of these four categories you fall into and modifying your routine can greatly impact how well you function, which of course will affect your productivity. 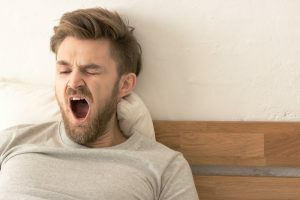 Here are the four major different sleeping patterns people have, and how you can best shape your work life around them. The majority of us, approximately 50% of the entire population falls in to this group. This is the group of people who just get enough sleep to where they aren’t hitting the snooze button when they wake up. These people typically wake up somewhere around 7-8 am, usually getting about 7 hours of rest or so the night before. This allows them enough sleep to function, but barely. If you are one of these people, your peak productivity time is going to be early afternoon to late afternoon, so try to schedule around this accordingly. This means doing things like eating a light but healthy breakfast early on in your day, with some light exercise thrown in there. Doing these things are going to help get your day jumpstarted, and will keep your energy levels more stable throughout the day, allowing you to keep your productivity levels high. The next largest group of people fall into this category, and are usually the ones that have the most difficulty getting out of bed and getting motivated for the day. 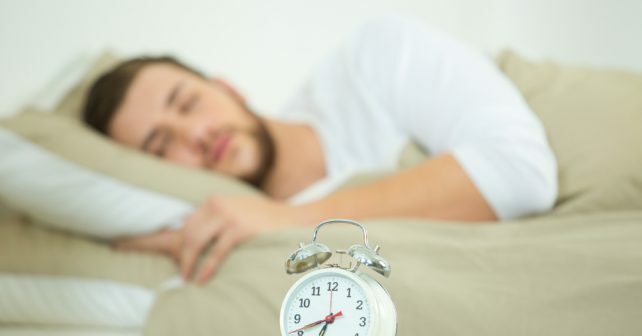 If you’re one of these people the first step to combat this is giving yourself some extra time to get ready in the morning, even if that means setting the alarm a little bit earlier. A wolves’ peak productivity is going to be later on in the day, mid afternoon to early evenings. Save your easy work for early on in the day to get you started, and then hit the heavy stuff once you’re in full gear. The biggest obstacle for a wolf is not giving in to the temptation of staying up late in to the wee hours of the night, so if you work a 9-5 don’t stay up past midnight. If you are a lion you are the type of person that gets up before anyone else, and usually without the need for an alarm. The peak working hours for type A personalities usually begin early on in their day, and extend for a long time as well. These are the types of people that usually put in the most hours at work, which makes getting the proper amount of sleep and eating at the right times essential. Have a breakfast early on in your day that is high in protein, so you can last to around 10-11 where you will be craving lunch. It is essential for these types to take a break here and stop to refuel yet again, which many people just don’t do. If you don’t refuel here you are taking a risk of crashing later on and not being as productive as you could be, so don’t forget to take a lunch/snack break here. Dolphins represent the smallest amount of people out of all types, accounting for about every 1 in 10 people. These types of people typically have irregular sleeping patterns, and routinely suffer from insomnia to an extent. 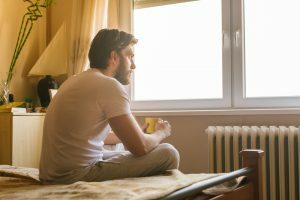 If you fall in to this category, you may be one of the few people who would actually benefit from not having coffee or any other type of stimulant in the morning, as this will only make your problems with anxiety worse. Your most productive time is going to depend on your sleeping habits, but typically this is somewhere from mid morning to the mid afternoon. For these types of people getting to sleep at the same time on a consistent basis is of upmost importance, and in doing so will help them to function much better from day to day. Make sure to wind down your day by 10 PM here, the latest midnight to function optimally.